A close friend recently asked me if I liked TripIt after he noticed the automated posts of my travel plans. This came on the heals of almost a year of constant business travel, so I figured I would give back my tips for the Road Warriors out there trying to remember what city and time zone they are in… trying to get back home to their loved ones without getting all wrapped around the travel arrangement axel. First stop is my chief means of flights of fancy and those homes away from home. 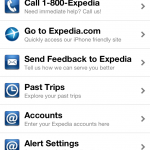 The Kayak iPhone and iPad apps are extensions to the powerful online site that harvests deals from Priceline, Expedia, Hotwire, Travelocity, and CheapOair for airline tickets. They also have hooks into hotel sites, car rentals and cruises. The only thing they don’t have is the ability to book tickets on Amtrak. The thing I like about Kayak is that you can set alerts on fare changes and cheap hotel deals. Kayak combined with the next app has saved me hundreds of dollars over the last year in refunds, vouchers and opportunities to save money. 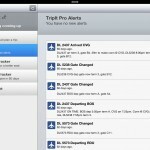 Next stop on this journey of travel apps is TripIt Pro. Like Kayak, TripIt Pro is first a Web-based app and the mobile apps for iDevices works in tandem with the mothership. 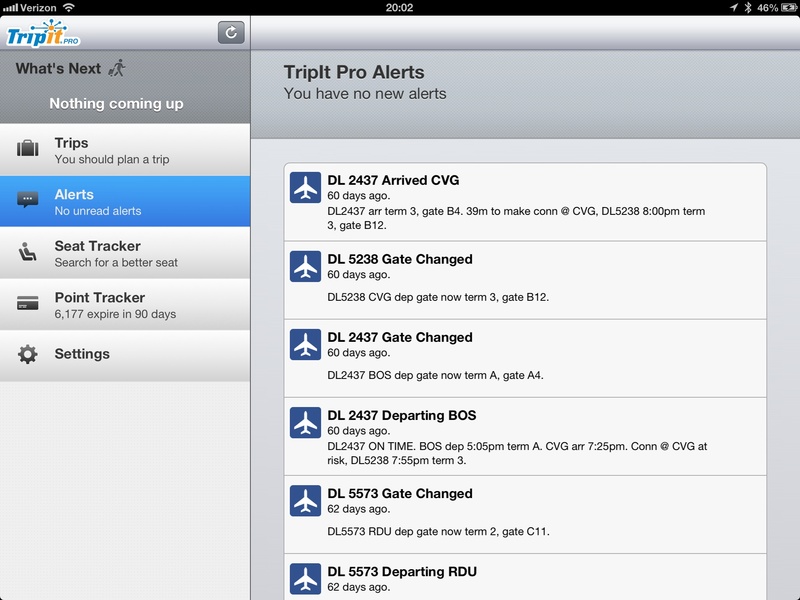 I use TripIt Pro for itinerary management, awards points tracking and price alerts (I’ve found out about price drops on flights I’ve already booked and received vouchers for the difference.) 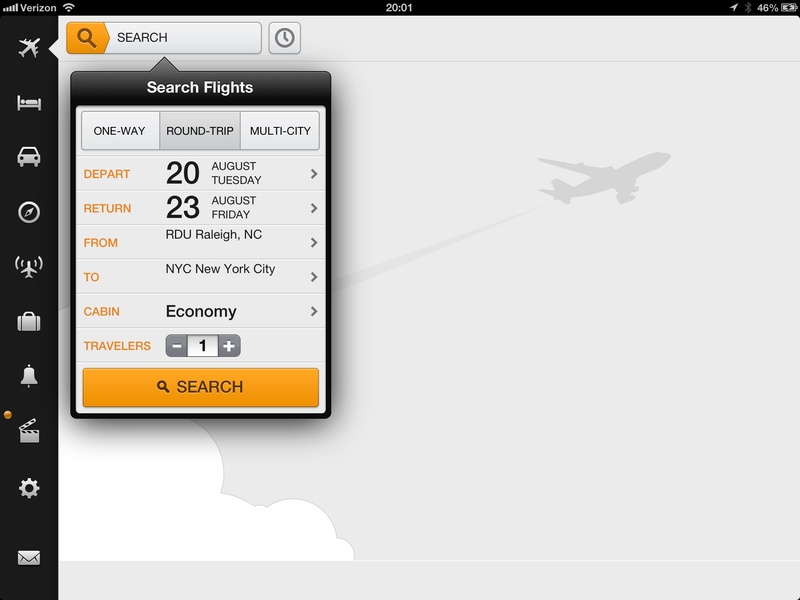 It also gives me flight info and has quickly told me about alternate flights when I had a flight delayed or cancelled. It also integrates with my calendar and email. It picks up email reservations, logs it in my itinerary, and then puts the event on my calendar. And all of my colleagues use it to know who is in what town on what dates: it also broadcasts this info on our corporate IM feed (Yammer.com). It posts general travel plans to LinkedIn and Facebook in the form of “Devin is preparing to leave for… ” and “Devin is returning to DC from …”. As an added bonus, I can designate people like close friends and my lovely wife as members of my Inner Circle. These members get look at the intimate details of any itinerary. Finally, I can always see my itinerary on my iDevice either through the app or through integration with my calendar. 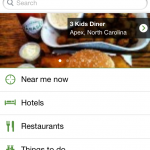 TripIt also has a version for businesses. I and my colleagues have floated the idea of subscribing to this so that it is easy to coordinate pair-coaching opportunities as we float about the World. I use FlightTrack Pro for gate information, flight delays, alternate flights, navigation around airports, weather delays, etc. 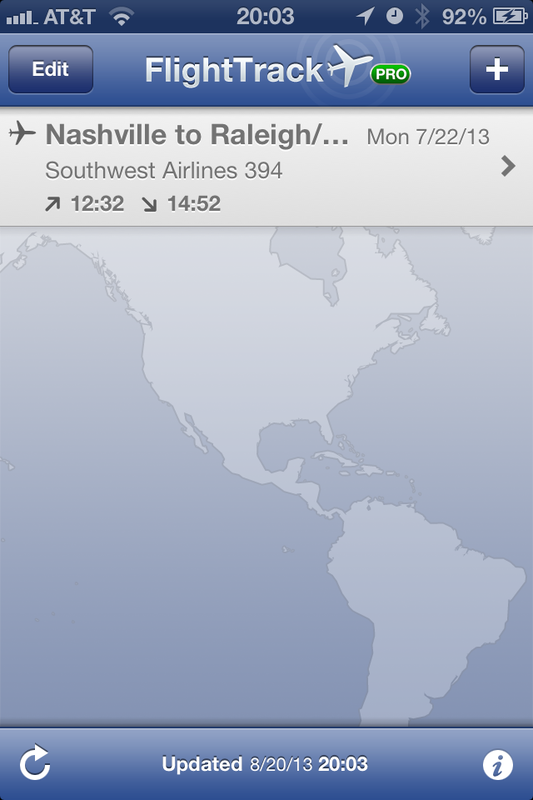 It pulls my flight information directly from TripIt Pro (tight integration). I get notified of delays and gate changes typically before the majority of the crowd (including the gate employees), and can switch flights before the crowd has even figured out what is going on. Another nice thing about combining FlightTrack Pro with TripIt Pro is that I can invite my inner circle from TripIt Pro to view my trips. 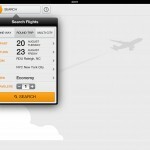 Then they can know when to meet me at the airport using FlightTrack Pro on thier iDevice. I also love that I can view the map of an airport that I’m not familiar with before I get there and know how to get through the maze of terminals and concourses without looking like a mouse that has lost its cheese. 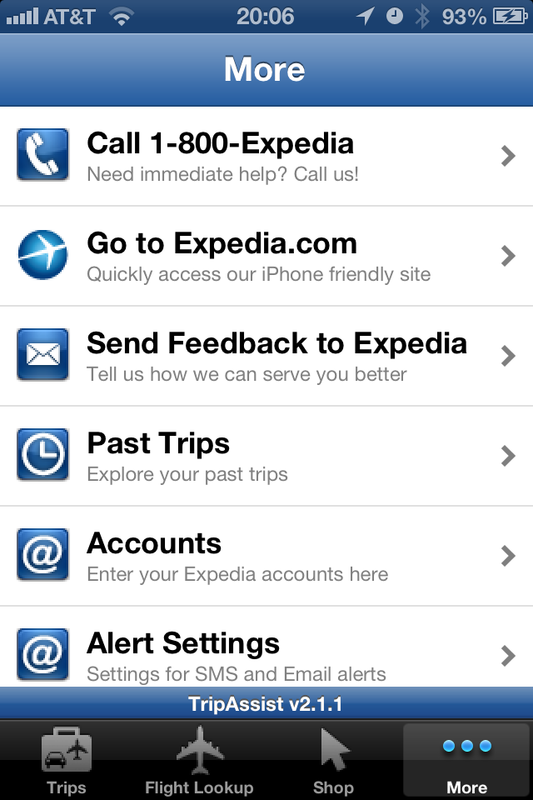 Another one of my essential iDevice travel apps is TripAdvisor. 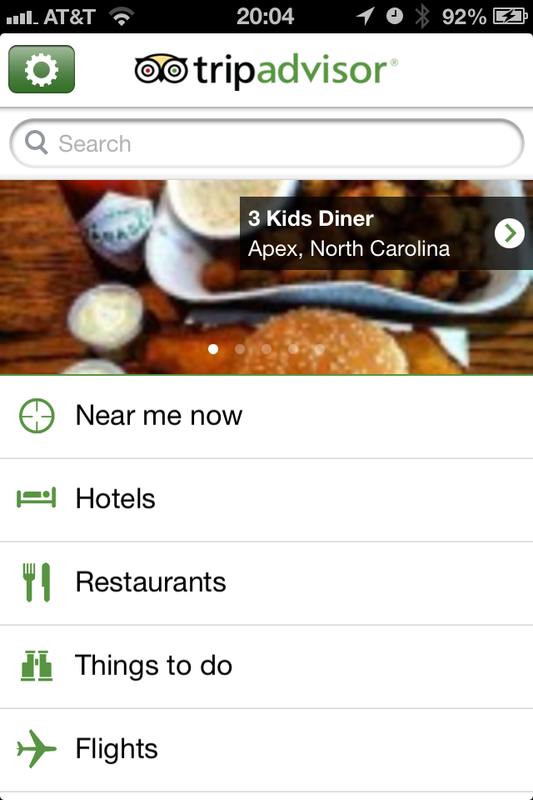 The TripAdvisor is just a better interface for my mobile device with their Webapp as the back-end. 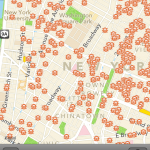 It allows me to find and read reviews of hotels, restaurants, and venues using either an address or geolocation. The app is also integrated with TripIt Pro so I can go from the address in my itinerary to TripAdvisor to find out other places around that address. 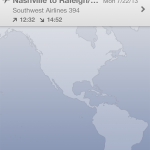 When combined with the online Webapp, I can monitor airfares between locations that I frequent. 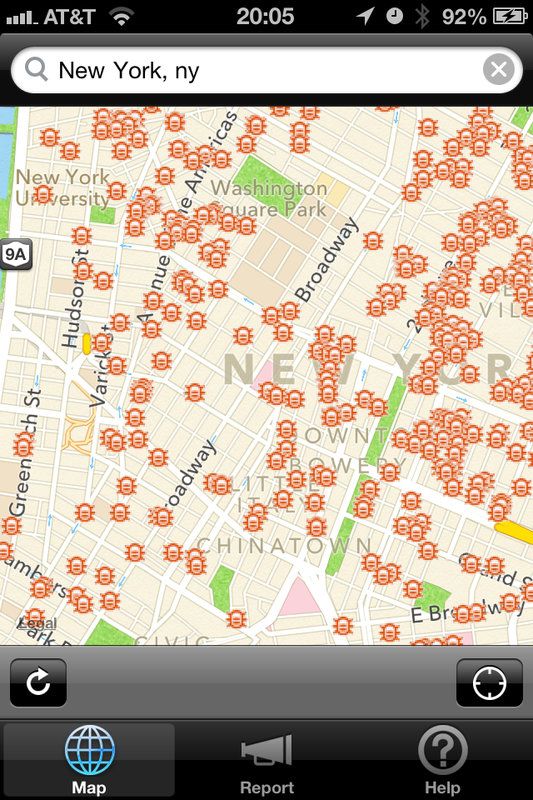 I can also check for alternate hotels if I find the one I booked has suddenly had an outbreak of Bed Bugs. I’ve now tacked this one onto my essential travel apps as I have started visiting cities where there are Bed Bug problems in the hotels. So far this app hasn’t failed me. Eventually I need to write a blog about my one and only bed bug experience. I never want to experience that again. 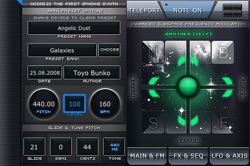 That was before a colleague referred me to this app. Now I check this app every time I go to make a reservation. I’ve been using Egencia for work related travel for a couple months now. It really isn’t that great, but it is worth a mention because when flights are cancelled, changed or when a hotel messes up my reservation or overbooks, I can simply use the app itself to autodial customer service to fix everything for me. 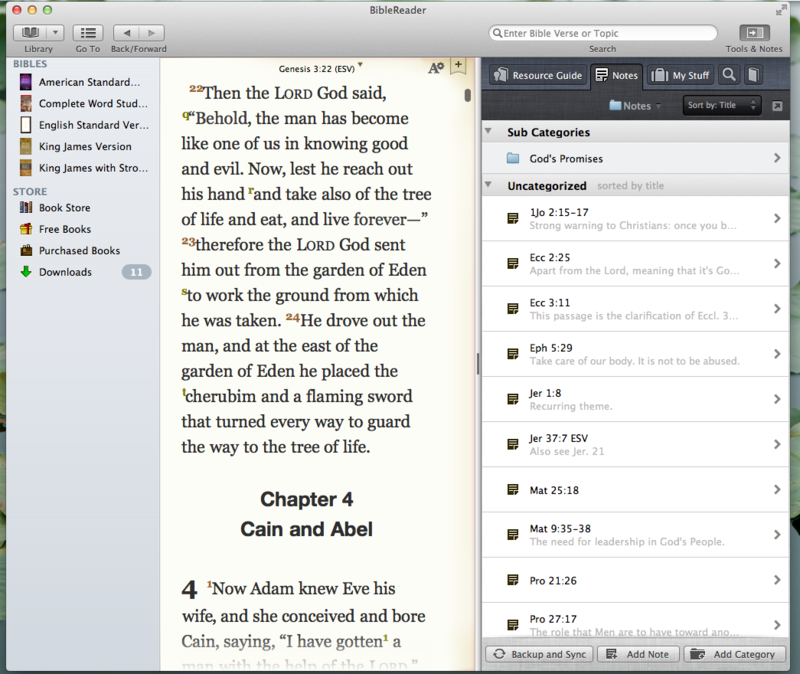 OliveTree gave us Christmas on Thanksgiving this year with the release of their incredible Bible software, BibleReader for the Mac OSX platform. OliveTree has been around since 1998. 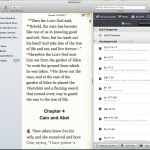 Admittedly, I’ve been using their eBible software on the Palm, the Windows Mobile, the iPhone, and the NookColor for since the first release for each platform.